The fate of TTIP and CETA are linked, due to the issue of investment protection. If the Commission demands a renegotiation of the chapter in CETA or continues along the path of asking for different measures in TTIP, then it will lose its credibility as a negotiator, writes Christofer Fjellner. Christofer Fjellner MEP is vice coordinator of International Trade in the EPP group. The European Parliament will soon have to take a position on the EU-Canada free trade agreement, CETA. Negotiations were wrapped up in September 2014, and since then the text has been subject to what in the trade is called “legal scrubbing”, where it is ensured that every comma and full stop is in the right place. In other words, most of it is now set in stone, which is good. Unfortunately, the Social Democrats have managed to stamp a big question mark on the agreement. For those who follow the TTIP discussions being hashed out between the EU and the US, this conflict sounds familiar. Once again, it is all about investment protection or ISDS. Investment protection has been the hot topic since spring 2014, despite the fact that the EU member states have already entered into such agreements since the 1960s. 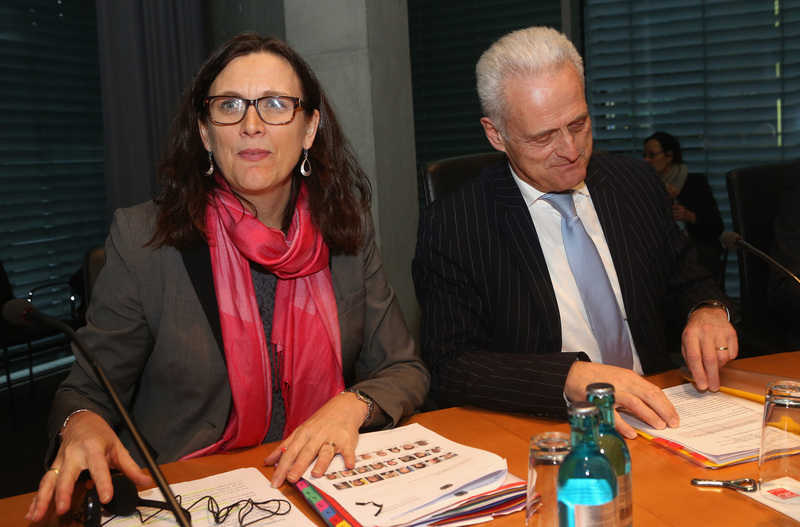 In an attempt to appease the Socialists and the Left, Commissioner Malmström presented a new proposal for investment protection in TTIP, a proposal that will also be used as a “model” for all new EU investment and trade agreements. This is where CETA comes into the picture. Or rather, this is where CETA doesn’t come into the picture, because the negotiations on the investment protection chapter in CETA are already finished, and the clause is an updated version of the older investment protection clause. But it is not “as reformed” as the clause that the EU is proposing in TTIP. The new reformed investment protection clause is a far-reaching reform that involves the establishment of a permanent court with a predetermined roster. There are many reasons why one ought to be sceptical towards the proposal. But the mere fact that the clauses in TTIP and CETA are so different creates two problems: firstly, a communications problem and secondly, a political problem for the European Parliament. Think about it: How can you communicate the benefits of an agreement containing a chapter that has caused a political crisis and has forced the EU to propose a fundamental makeover of the investment protection clause in an agreement with the neighbouring country? How can you communicate that an “outdated” version of investment protection is corrupt in relation to the US, but “good enough” in relation to Canada? It is obvious that the Commission must be even clearer in their communication, because the fact of the matter is that comparing CETA and TTIP is like comparing apples and oranges: CETA has been concluded. TTIP is still being negotiated. They are therefore immensely different in their nature. But it also means that they have to make some harsh realisations concerning investment protection itself. Either they have to argue that the older version of the investment protection clause is sufficient, that the standard ISDS has not undermined democracy and that the ISDS in CETA is acceptable. Or, they buy into the rhetoric of the left, arguing that the old investment protection clause is flawed and must be replaced even in CETA. But to argue both at the same time – that is a perfect way of looking for trouble. But Malmström has an additional problem, because the President of the European Parliament, Martin Schulz, has allegedly promised his S&D group that the investment chapter of the agreement in CETA will be renegotiated, despite the fact that the negotiations are finished, but above all ignoring the fact that he has no mandate to set out such a promise. One thing is clear: To reopen the negotiations on investment protection would be a disaster for the agreement as a whole. If the EU asks for negotiations to be reopened, what will the Canadians ask for in return? It would be like opening Pandora’s Box. Above all, it would undermine the EU’s credibility and its ability to negotiate trade agreements. Now it is up to Commissioner Malmström to stay firm and not to reopen negotiations with Canada. Not only for CETA’s sake, but also for TTIP’s. There must be room for negotiation in TTIP. If Malmström puts her foot down too firmly, one way or the other, she risks losing out on other central interests of the EU. After all, we must stop giving life to the myths about investment protection. We cannot expect the US to accept Malmström’s proposal for a new investment protection in its entirety without any debate. A negotiation with the US does not amount to putting forward a proposal which the US signs on “the dotted line”. A negotiation with the US is precisely that – a negotiation. And both sides need to be willing to give and take. We need a new trade agreement with Canda because? (ditto the USA). You use lots of words Mr Fjellner – but your starting point is that we (the EU) need such agreements. The reality is – no clear case has so far been made. So – in your article – are you waving – or drowning? ISDS style agreements may have been in use since the ’60s, but today’s public is a lot more aware of these shady deals and they don’t like what they see. There is a lot of unfinished business here and pressing on regardless will not make you a popular person. If TTIP is ever ratified by the US congress there will be pitchforks in the streets.